AutoTrader is SA’s leading online vehicle marketplace. Bringing together buyers and sellers across all types of vehicles with 5 million visits each month across more than 78,000 vehicles on mobile, tablet, desktop devices and apps. This year, SA’s biggest motoring festival focuses on the future. The annual AutoTrader Dealer Master Class, was held at Radisson BLU Hotel Gautrain on 19 June 2018. One year after saying #ByeByePrint, AutoTrader’s impressive results. Latest web traffic statistics from Effective Measure reveals that AutoTrader has retained its position as South Africa’s favourite online marketplace for new and used vehicles. AutoTrader, South Africa’s leading online marketplace for new and used vehicles has kicked off 2018 with record-breaking 19 percent year-on-year increase in quality audience, while its’ closest niche vertical competitor has remained flat. The legendary Consumer Electronics Show (CES) is held every January in Las Vegas, USA. The event is spiced by driverless rides out to the desert and the unveiling of the most mind-bending of new auto trends. 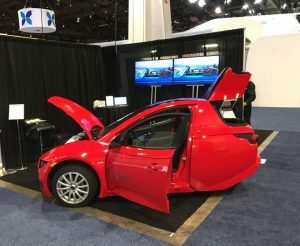 “CES is a marker for the future of automobiles” comments AutoTrader CEO, George Mienie. Here Mienie takes a look at some of the most interesting and fantastic developments to come out of the four- day conference. 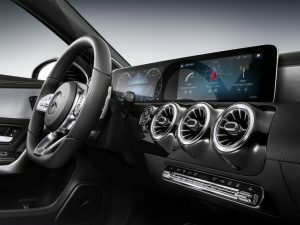 Mercedes-Benz unveiled the ‘Mercedes Benz User eXperience’ (MBUX), a dashboard for the future. Consisting of two 12-inch LCD screens positioned behind the steering wheel, this new interface hinges on finger controls on the steering wheel itself, allowing access to all elements of the display, as well as state of the art voice control capability. The MBUX debuts on the A-Class this year, and on Benzes in the US in 2019. From custom car maker Genovation, the all-electric supercar, called Genovation GXE, takes electric power to stratospheric levels. 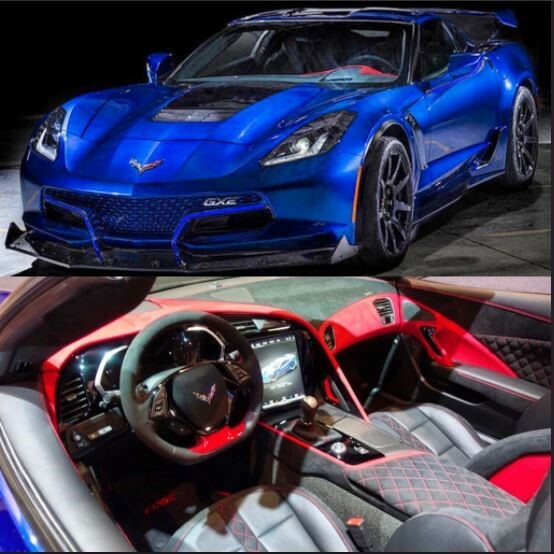 “The vehicle promises more than 700 lb.-ft. of torque, and more than 800 horsepower” reports Miennie. Only 75 GXE’s will be made in 2018. Toyota re-define online shopping by bringing the shop to you. 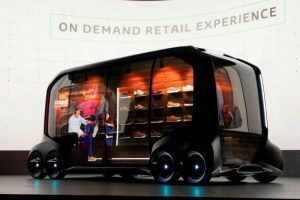 Housed in a self-driving mini-bus, these self-driving retail warehouses are mobile, and stocked with a range limited only by the imagination. While still in the conceptual stage, powerhouses like Uber, Pizza Hut and Amazon are already involved. As self-driving continues to evolve, so does connectivity. 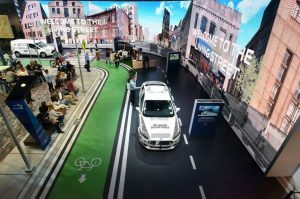 Ford went above and beyond the usual connected suite (including remote starting and locking, Wi-Fi hotspot capability and hyper-accurate location information) and announced “cellular vehicle-to-everything”, aiming to better establish inter-vehicle communication, as well as inter-city infrastructure such as traffic lights, etc. With digital communication rising, self-driving will take on new dimensions of possibility, and probability. Presented by Electra Meccanica, the ‘smartest commuter car on the planet’ made it’s appearance. The ‘Solo’ is a single passenger unit designed with the express purpose of going to and from work with maximum efficiency and a zero petrol spend. With a top speed of around 100 km p/h and a range of 130 kilometres per charge, the Solo has few frills, but all of the essentials. Finally, “perhaps the most bizarre of the 2018 CES offering was Nissan’s new ‘brain to vehicle’ or B2V technology” advises Mienie. 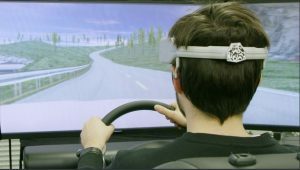 This system reads the driver’s mind via brain waves, telegraphing the driver’s intent at a speed of 0.5 to 1.0 seconds before the action. This allows the car to prepare itself for the next move. The technology is human based, aimed to further streamline the driving experience. Rest assured, the ‘back to the future’ skull cap receiver is not equipped to read your thoughts, yet! “Some of these developments sound too fantastic to ever become reality, but you just have to cast your mind back to movies first featuring driverless cars, to recall your initial marvel at the idea” recalls Mienie. “The Jurassic Park Explorer; Total Recall’s robot chauffer; and Minority Report’s Lexus 2054 are just a few to name” muses Mienie. Perhaps driving your car by brainwaves will be possible sooner than we think. SA’s biggest motoring website partners with SA’s biggest biking festival. AUTOTRADER now triumphantly boasts a silver key as South Africa’s leading online marketplace for buyers and sellers, celebrating 25 years in business. Get Car Alerts that match your criteria direct to your inbox.